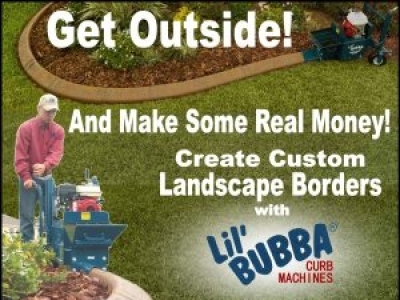 Lil Bubba Landscape Curbing is a High Income/Low Investment Business in the rapidly growing Home Improvement segment. A Lil Bubba curbing business with 2 employees can easily earn you between $3000 and $5000 a week. 1 days work pays the monthly loan.